Chef Ernest Miller on the Culinary Styles Stage. Photo courtesy Karen Hobart. Of all the appearances by Master Food Preservers at the LA County Fair, Chef Ernest Miller's demonstration on Friday, Sept. 7th was at the top of my list. 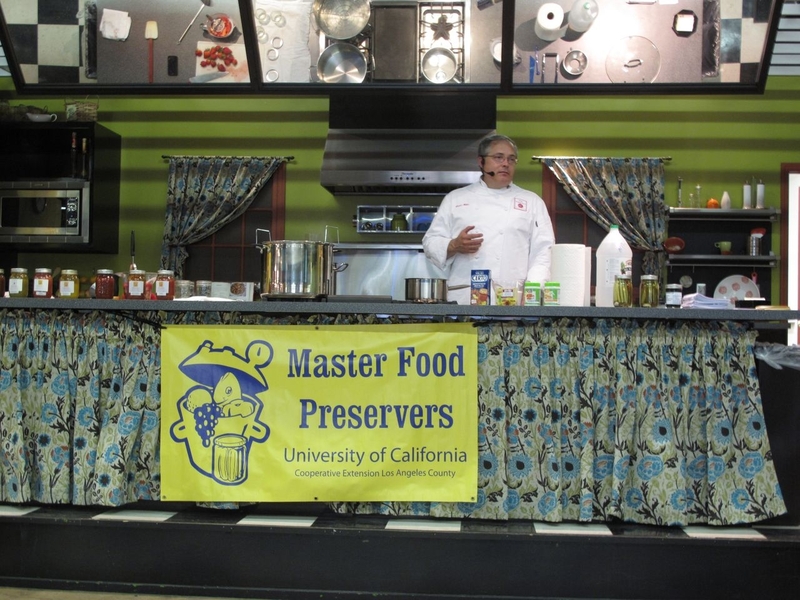 As a graduate of the most recent class of MFPs, I am deeply grateful to Chef Miller, lead instructor of the Los Angeles County branch of the Master Food Preserver Program of the University of California Cooperative Extension. Those of us who have been lucky enough to have taken classes from Chef Miller know what a fun and engaging speaker he is. Sadly, I missed the event, but fellow MFP Karen Hobart was there and took these photos. (Thanks, Karen!) She reports that Chef Miller gave a great demonstration of classic preservation techniques, which included making strawberry jam, fermented dill pickles, and crushed tomatoes. If you missed Chef Miller's demonstration and you're still wondering what to do with an overabundance of tomatoes from your garden, check out this new resource page on Home Preserving Tomatoes from the National Center for Home Food Preservation. 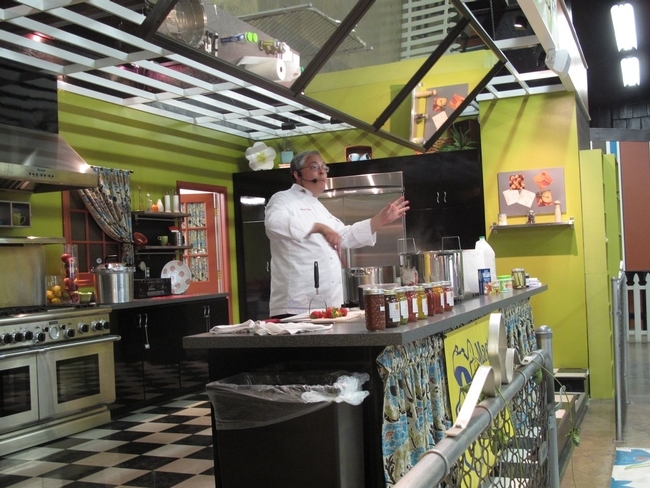 Chef Ernest Miller at the LA County Fair. Photo courtesy Karen Hobart.